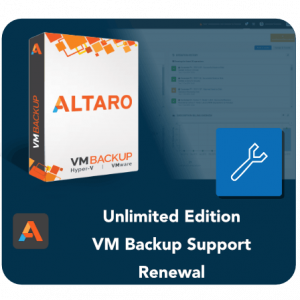 Buy Altaro Per VM Backup Subscription from Systech IT Solutions online shop. Get all the features of the Unlimited Plus Edition. Pay Based On Usage per VM, per month at the most accessible price in the industry. 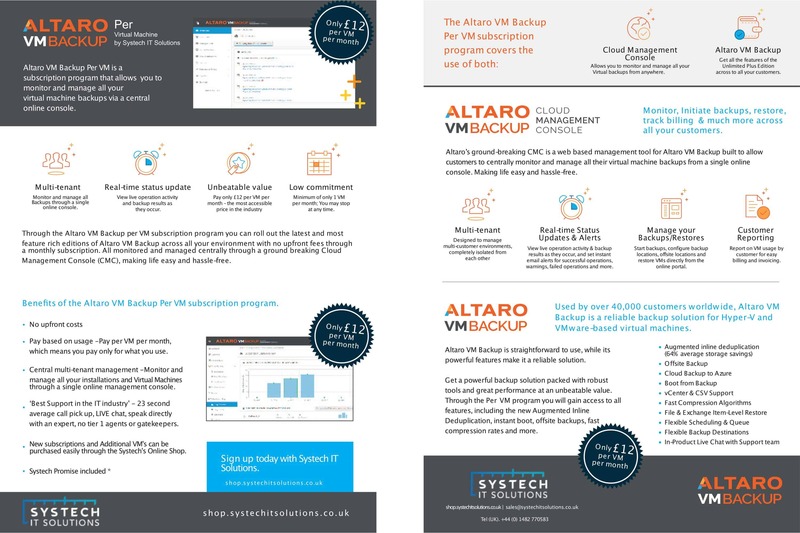 Buy Altaro Per VM Backup Subscription from Systech IT Solutions online shop. Pay per Virtual machine. Pay for what you consume, Monthly subscription. 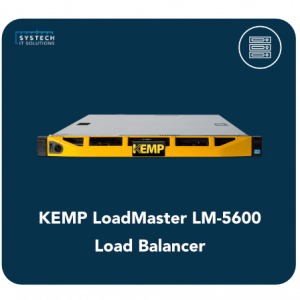 monthly Per VM Backup program allows you to manage your virtual backups through an online console at the most accessible price in the industry. 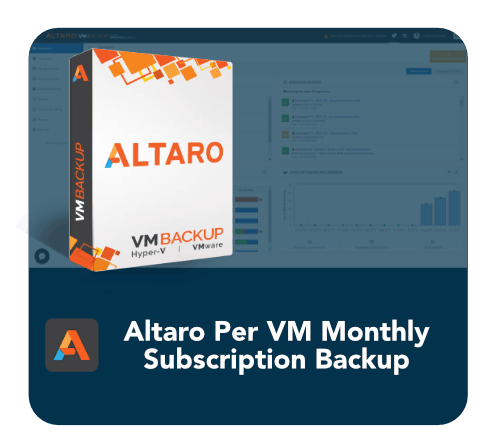 Pay per VM per month, while having access to all features of Altaro VM Backup across sites. Get all the features of the Unlimited Plus Edition. 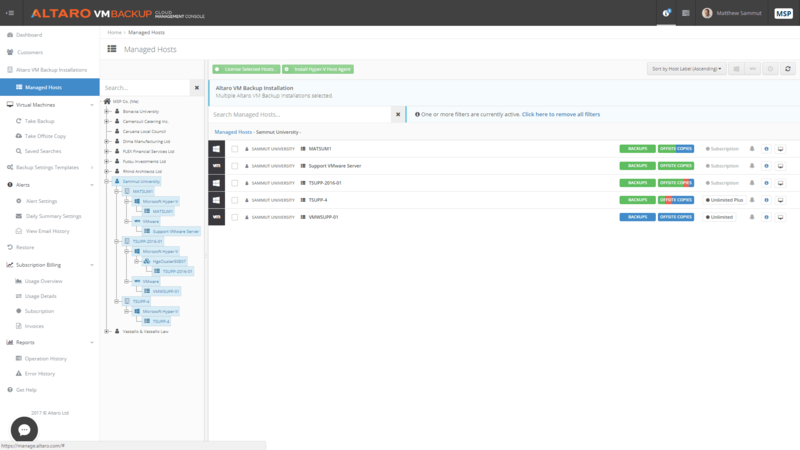 Monitor and manage all your customers through Altaro’s Cloud Management Console. 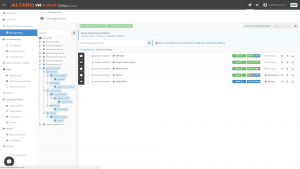 Altaro’s CMC is a web-based management tool for Altaro VM Backup. 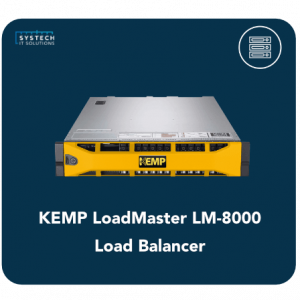 This solution allows Systech to centrally monitor and manage all customers’ virtual machine backups from a single online console, making life easy and hassle-free. Per VM Backup: Monitor and manage all your Virtual Machines through a single online console. 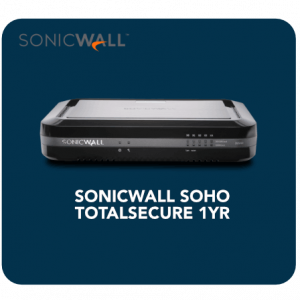 Access portal from anywhere: There is no need for a VPN or to be on-site. You don’t need additional software, simply use a web browser. Reports and Alerts: Get daily email reports summarising backup / OC / verification operation status / issues. 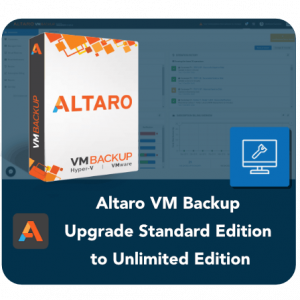 Currently using Altaro VM Backup standard edition and want to upgrade? You can upgrade online or with one of our Altaro Specialists. Get priority support with Altaro’s support team directly from the application itself. Assistance with Altaro is at your fingertips with easy access to premium support from the experts themselves, no tier 1 agents or ‘Gatekeepers’, you get assistance directly from the product experts. Satisfied with your free year of support? 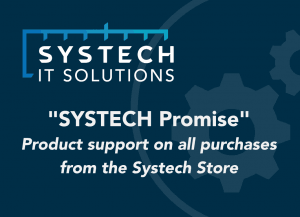 Continue your support plan with Unlimited Support Renewals for up to 3 years direct from us at Systech IT Solutions. Support Maintenance Agreement (SMA) renewal after the first year is charged at 25% of list price. Support is required for purchase. 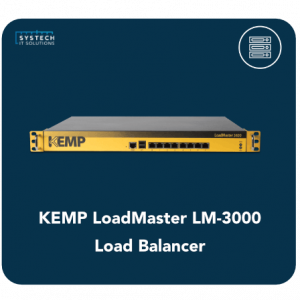 KEMP LM-8000 LoadMaster – The LoadMaster 8000 provides optimized performance for high transaction web infrastructures and features. 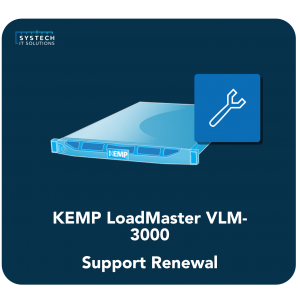 Renewal your KEMP Virtual LoadMaster VLM-2000 Support with Systech IT Solutions today. Choose the option you want and add to basic. pease enter the serial number if known.